I love a good cocktail. 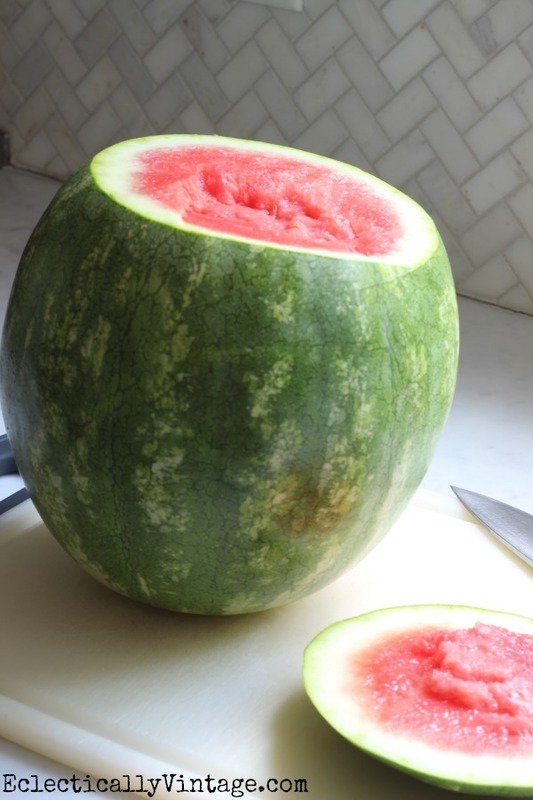 1) Buy a watermelon that can stand on it’s side and cut off the top (don’t cut the bottom – it will leak)! 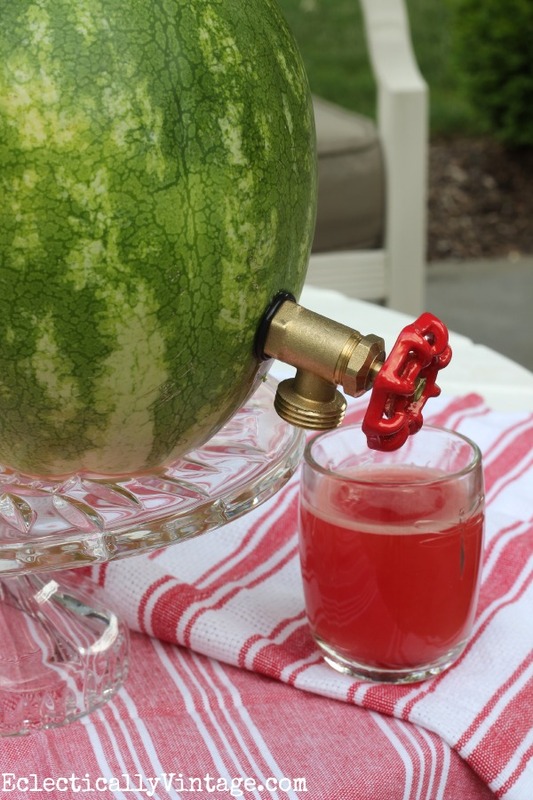 Whether you choose to add the dispenser or simply use the watermelon as a cute drink holder with a ladle, it’s sure to be the hit of your barbecue. 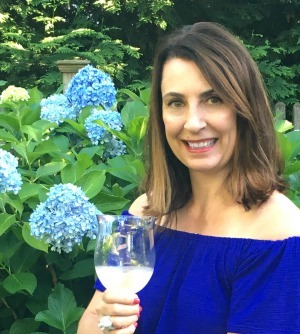 Mix up a batch of my favorite summer sangria! Kelly, This is amazing! I am going to share on my FB page – it’s just too good not to share here right before the 4th! 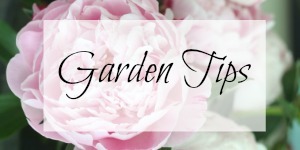 You’ve known me long enough through the blogging community to know that I only “share with integrity” so I’ll be using one of your pictures and then the link to your post through bitly!! NO way…I love this idea…so cute and perfect for a summer backyard party!! 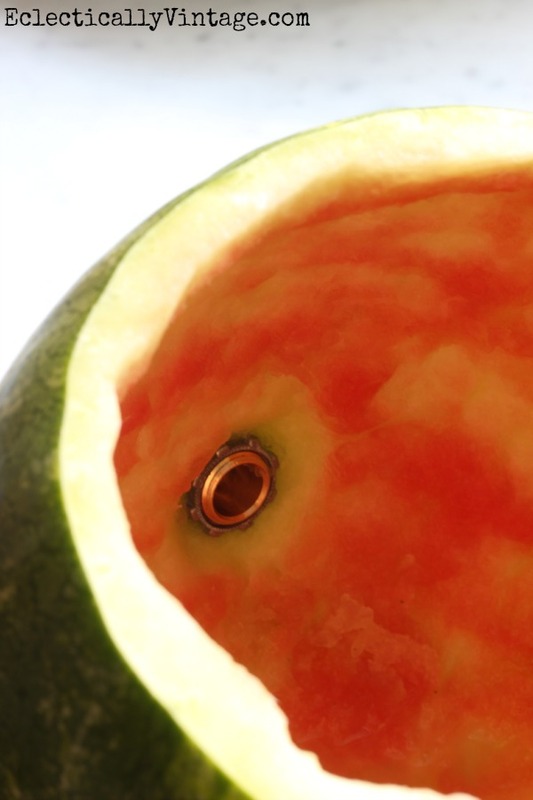 Adding the spigot to the watermelon is crazy fun! Yummy!!! Looks so fun and refreshing! I’m sure everyone would want to sample the cocktails at the party where this is served! Probably a good idea to make extra 🙂 love your ideas, Kelly! This is just super creative of you Kelly!! LOVE IT and so perfect for summer! 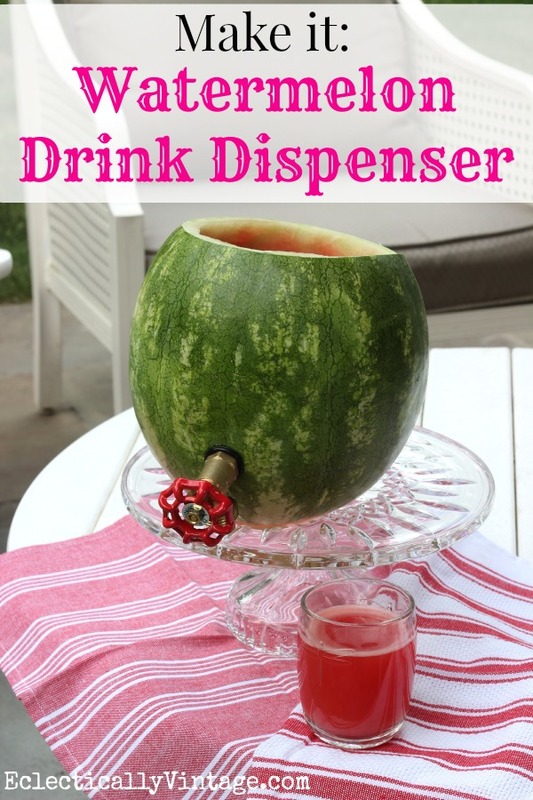 oh my…love this idea, so will the kids…less the adult beverage inside. Woo Hoo! Kelly, have you seen my shared link and pix of this on my community page? 20 shares so far!! 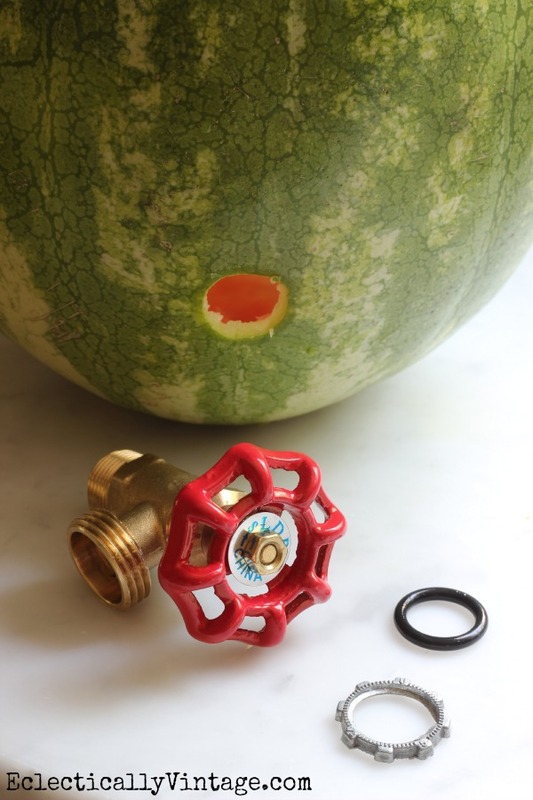 Just referenced your tutorial with recipe on a Youtube video by Miss Kris titled ( DIY ) Watermelon Keg. I commented on your tutorial on her site. She just says she has seen this pinned all over. This is too cute!!! I can’t wait to try it. Thanks! So adorable!! Love this idea.